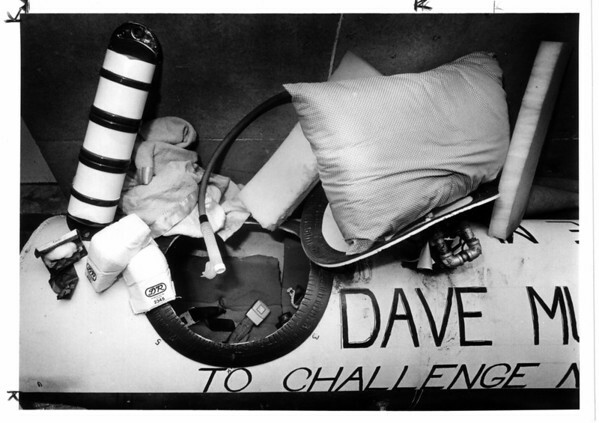 Niagara Falls, Stunters, Dave Munday - Dave Munday's barrel contained box of cotton, signal bouy, elbow protections, pink blanket, pipe to outside lid with plastic mouthpiece, foam batts, purple polka-dotted pillow. It was lined with foam and had 2 GM seat belts inside. 9/26/1987 Lisa Massey photo.